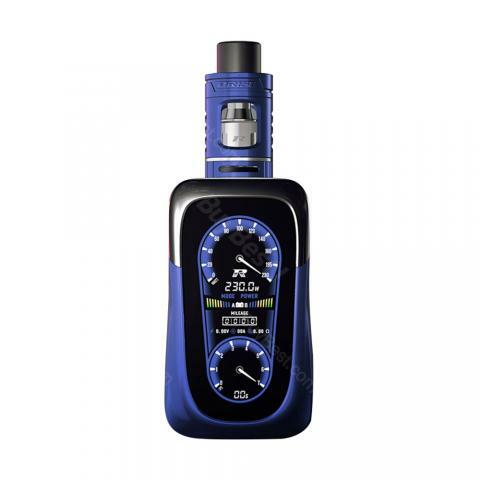 Performance of the REV GTS v2 is pretty good, The menu and user interface are really nice and the overall vape quality is amazing. Buen equipo, entretenido y muy recomendable para los que nos gustan los vehículos. Schnell aufladbar, schönes handling einfach zu bedienen und sieht wirklich klasse und gut aus. Ich bin absolut begeistert von REV GTS V2. 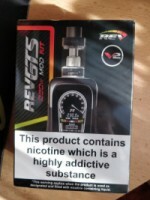 As the upgraded version of GTS, REV GTS V2 is cool and luxury kit with high performance, which is composed of a GTS V2 mod and a Drift tank. Powered by dual 18650 batteries, GTS V2 must impress you so much with max output of 230W and a fast fire speed of 0.002s. The new VTC/VPC modes can customize your own vaping style. It also comes with upgraded dashboard & firmware and friendly interactive interface. The paired Drift tank has 2 different ejuice capacity of 2ml/4.5ml with corresponding glass tube, satisfying different vaping needs. It’s equipped with 4 innovative cores including R1(Single Core), R2(Dual Cores), R3(Tri Cores) and R4(Quad Cores), which can bring you various powerful vaping experience. • It doesn't come with 18650 cells/e-Juice.